I have my iCloud backups stripped down to only CONTACTS and NOTES and about 150MB of apps, yet the backup is 5.22 GB. How do I make my iPhone backup smaller?! This gives you a list of all things iOS wants to backup, including their size. It also gives you the option to enable/disable which application data gets backed up. As seen from the photos, your large backup was 5.22 GB which is a significant amount. I see you have disabled some options, so the backup sie is now 188.4 MB. If you want to keep your old backup you need to buy more storage to backup again. To buy more storage click the Upgrade button. To free up space you can delete your old large backups. On the iCloud storage screen, go to Manage Storage and then Backups. Here you can delete Backups for a specific device. Delete all backups, log out of iCloud, log back in and do a fresh backup. That always works. You can purchase more storage for just one month and back up your phone to be sure it works ok. If your iphone backup runs to completion then you can check the actual size of the backup. If it is indeed too large to copy to you lower icloud storage, you can try making room or keep your extra storage. If you can fix your problem then be sure to lower your storage option. This way will cost you 99 cents I believe. Not the answer you're looking for? Browse other questions tagged iphone icloud backup . 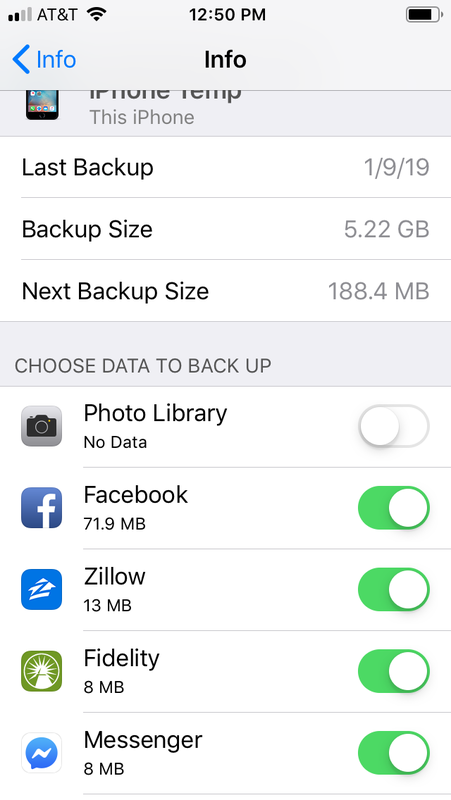 iOS Backup Size plus Next Backup Size? 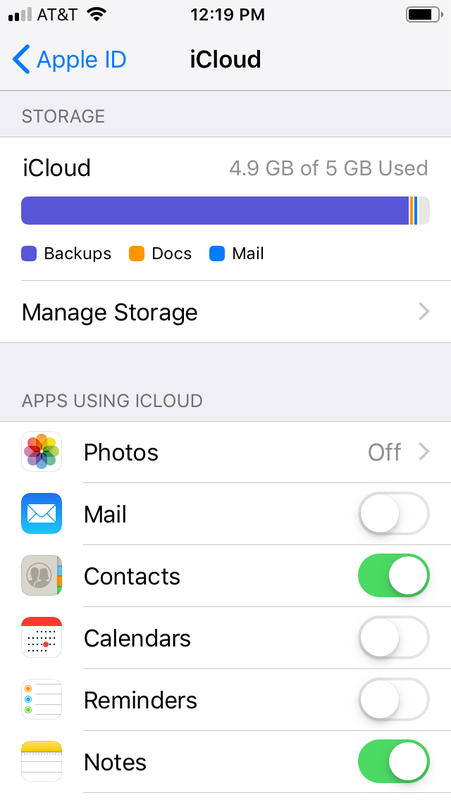 Does apps backup on iCloud consume space?